The multi-channel gas detection system TOC-625 Micro can be configured with two relay output modules and with up to six gas detectors. Any mix of the gas detectors is possible —Hydrogen Sulphide, Chlorine, Oxygen, Carbon Monoxide, Carbon Dioxide or Flammable Gases. 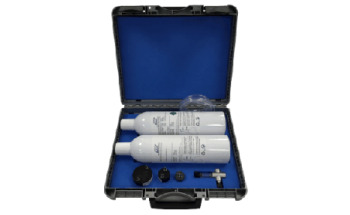 The TOC 625 Micro multi-channel gas detection system is designed in such a way that it can be easily installed with sophisticated automatic setup features. 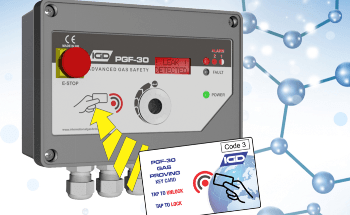 Addressable gas detection systems enable users to rapidly deploy an effective safety solution. Auto-setup functions in the controller allow the alarm levels, gas types and ranges of the gas detection system to be automatically configured. 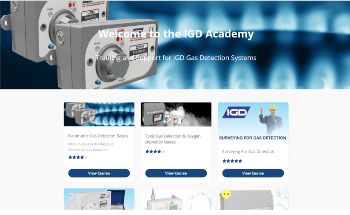 All detectors are addressable gas detection systems. The systems enable the use of pre-calibrated detectors. 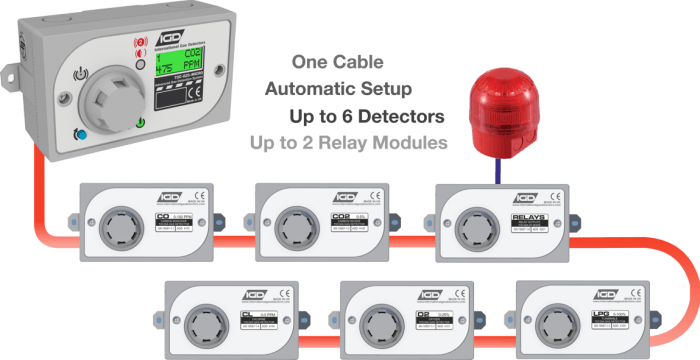 The detectors, controller and relay modules can be interconnected with just a single cable. These types of addressable gas detection systems usually save up to 70% on installation costs. In addition, the system has a pre-wired version (TOC-625-MCP) using plug and socketed cables. Individuals with no gas detection experience can install this pre-wired version easily. Available in 1 M, 3 M and 10 M lengths, cables can be interconnected to make specific length cable runs. 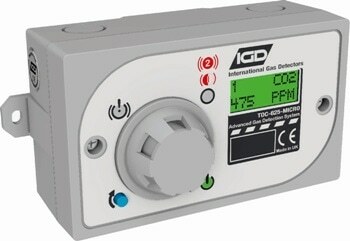 Users can refer to the TOC-625-MCP manual and data sheet for complete information. 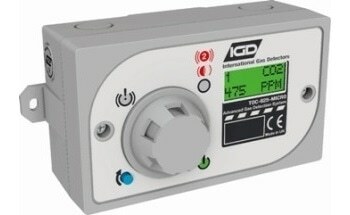 To determine the best location, users can follow IGD’s guide to Siting Gas Detectors. 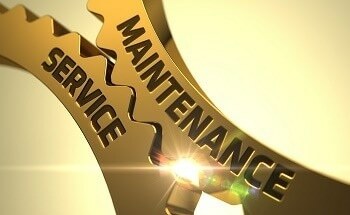 If in doubt, they can contact IGD for more help and advice.